Copyright © Gecko Software, Inc., All Rights Reserved. High Risk Investments Trading Stocks, Futures, Foreign Exchange (Forex), or Options on margin carries a high level of risk, and may not be suitable for all investors. The high degree of leverage can work against you as well as for you. Before deciding to trade any of these markets you should carefully consider your investment objectives, level of experience, and risk appetite. Risk capital is money that can be lost without jeopardizing ones financial security or lifestyle. Only risk capital should be used for trading and only those with sufficient risk capital should consider trading. The possibility exists that you could sustain losses exceeding your initial investment. You should be aware of all the risks associated with trading these markets, and seek advice from an independent financial advisor if you have any doubts. Internet Trading Risks There are risks associated with utilizing an Internet-based deal execution trading system including, but not limited to, the failure of hardware, software, and Internet connection. Since Gecko Software and any partners do not control signal power, its reception or routing via Internet, configuration of your equipment or reliability of its connection, we cannot be responsible for communication failures, distortions or delays when trading via the Internet. Our partners, employ back-up systems and contingency plans to minimize the possibility of system failure, and trading via telephone to the clearing firm is an additional option if such an event occurs. Accuracy of Information The content on this website is subject to change at any time without notice, and is provided for the sole purpose of assisting traders to make independent investment decisions. Gecko Software has taken reasonable measures to ensure the accuracy of the information on the website, however, does not guarantee its accuracy, and will not accept liability for any loss or damage which may arise directly or indirectly from the content or your inability to access the website, for any delay in or failure of the transmission or the receipt of any instruction or notifications sent through this website or by email. Distribution This site is not intended for distribution, or use by, any person in any country where such distribution or use would be contrary to local law or regulation. None of the services or investments referred to in this website are available to persons residing in any country where the provision of such services or investments would be contrary to local law or regulation or to the laws of the United States. It is the responsibility of visitors to this website to ascertain the terms of and comply with any local law or regulation to which they are subject. 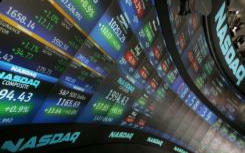 Market Risks and Online Trading The trading program(s) provide sophisticated order entry and tracking of orders. All stop-loss, limit and entry orders are generally deemed reliable against slippage, but slippage may still occur based on market conditions and liquidity. Trading on-line, no matter how convenient or efficient does not necessarily reduce risks associated with stocks, futures, forex, or options trading. All quotes and trades are subject to the terms and conditions of the End-User License Agreement and Client Agreement. Testimonial Disclaimer Unique experiences and past performances are not necessarily indicative of future results! Testimonials herein are unsolicited and are non-representative of all clients; certain accounts may have worse performance than that indicated. Trading Stocks, Futures, Forex, or Options involves substantial risk and there is always the potential for loss. Your trading results may vary. Because the risk factor is high trading any leverage markets, only genuine “risk” funds should be used in such trading. If you do not have the extra capital that you can afford to lose, you should not trade. No completely “safe” trading system has ever been devised, and no one can guarantee profits or freedom from loss. Gecko Software does not pay for testimonials, most of our testimonials are unsolicited and voluntary. Gecko Software Market Opinions Any opinions, news, research, analyses, prices, or other information contained on this website are provided as general market commentary, and do not constitute investment advice. Gecko Software is not liable for any loss or damage, including without limitation, any loss of profit, which may arise directly or indirectly from use of or reliance on such information. Gecko Software has taken reasonable measures to ensure the accuracy of the information on the website. The content on this website is subject to change at any time without notice. Views, Opinions, and outside links The views and opinions represented in any link to an outside website link and/or resources are not controlled by Gecko Software or by our associated firms. Further, Gecko Software nor our associated firms are responsible for their availability, content, or delivery of services. DISCLAIMER: THE DATA CONTAINED HEREIN IS BELIEVED TO BE RELIABLE BUT CANNOT BE GUARANTEED AS TO RELIABILITY, ACCURACY, OR COMPLETENESS; AND, AS SUCH ARE SUBJECT TO CHANGE WITHOUT NOTICE. WE WILL NOT BE RESPONSIBLE FOR ANYTHING, WHICH MAY RESULT FROM RELIANCE ON THIS DATA OR THE OPINIONS EXPRESSED HERE IN. DISCLOSURE OF RISK: THE RISK OF LOSS IN TRADING STOCKS, FUTURES, FOREX, AND OPTIONS CAN BE SUBSTANTIAL; THEREFORE, ONLY GENUINE RISK FUNDS SHOULD BE USED. STOCKS, FUTURES, FOREX, AND OPTIONS MAY NOT BE SUITABLE INVESTMENTS FOR ALL INDIVIDUALS, AND INDIVIDUALS SHOULD CAREFULLY CONSIDER THEIR FINANCIAL CONDITION IN DECIDING WHETHER TO TRADE. OPTION TRADERS SHOULD BE AWARE THAT THE EXERCISE OF A LONG OPTION WOULD RESULT IN A FUTURES OR FOREX POSITION. HYPOTHETICAL PERFORMANCE RESULTS HAVE MANY INHERENT LIMITATIONS, SOME OF WHICH ARE DESCRIBED BELOW. NO REPRESENTATION IS BEING MADE THAT ANY ACCOUNT WILL, OR IS LIKELY TO, ACHIEVE PROFITS OR LOSSES SIMILAR TO THOSE SHOWN. IN FACT, THERE ARE FREQUENTLY SHARP DIFFERENCES BETWEEN HYPOTHETICAL PERFORMANCE RESULTS AND THE ACTUAL RESULTS SUBSEQUENTLY ACHIEVED BY ANY PARTICULAR TRADING PROGRAM. ONE OF THE LIMITATIONS OF HYPOTHETICAL PERFORMANCE RESULTS IS THAT THEY ARE GENERALLY PREPARED WITH THE BENEFIT OF HINDSIGHT. IN ADDITION, HYPOTHETICAL TRADING DOES NOT INVOLVE FINANCIAL RISK, AND NO HYPOTHETICAL TRADING RECORD CAN COMPLETELY ACCOUNT FOR THE IMPACT OF FINANCIAL RISK IN ACTUAL TRADING. FOR EXAMPLE, THE ABILITY TO WITHSTAND LOSSES OR TO ADHERE TO A PARTICULAR TRADING PROGRAM, IN SPITE OF TRADING LOSSES, ARE MATERIAL POINTS WHICH CAN ALSO ADVERSELY AFFECT ACTUAL TRADING RESULTS. THERE ARE NUMEROUS OTHER FACTORS RELATED TO THE MARKETS, IN GENERAL, OR TO THE IMPLEMENTATION OF ANY SPECIFIC TRADING PROGRAM WHICH CANNOT BE FULLY ACCOUNTED FOR IN THE PREPARATION OF HYPOTHETICAL PERFORMANCE RESULTS AND ALL OF WHICH CAN ADVERSELY AFFECT ACTUAL TRADING RESULTS.